Smallwood , Reynolds , Stewart & Assoc. 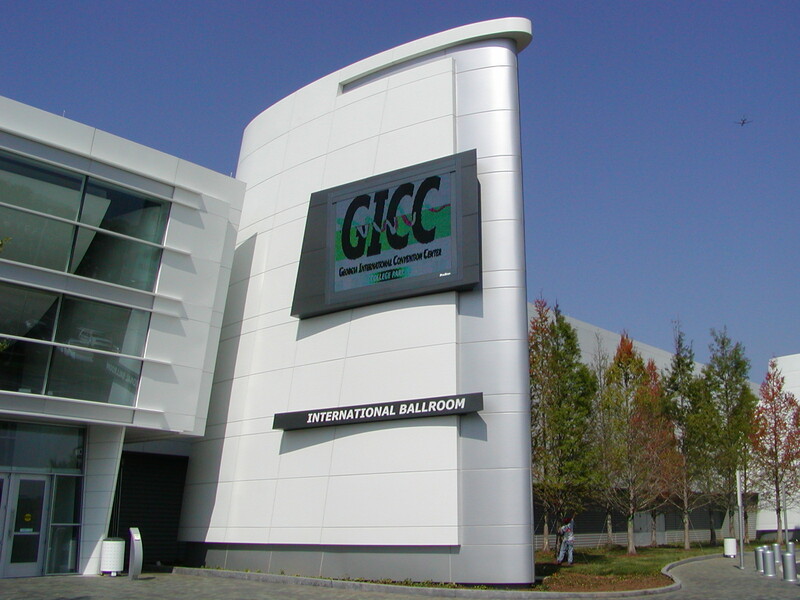 Georgia’s second largest convention center, the International Convention Center is located in the Gateway Center and is the only facility of its type in the world to be directly connected to an airport. 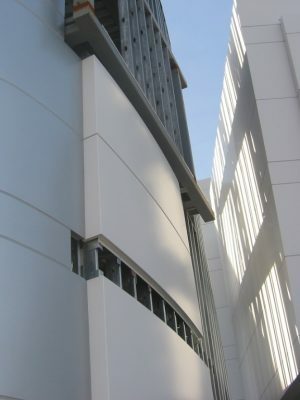 The building was completed in 2002. 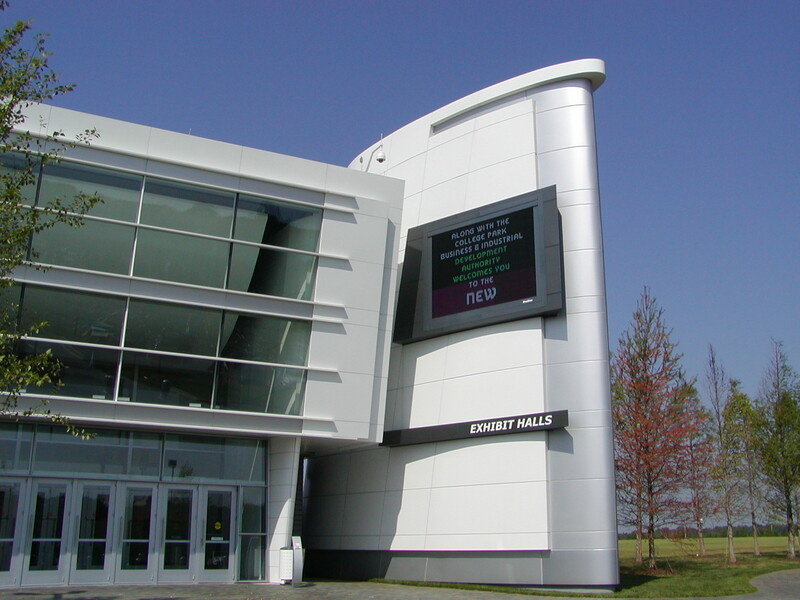 Approximately 20,000 sq. 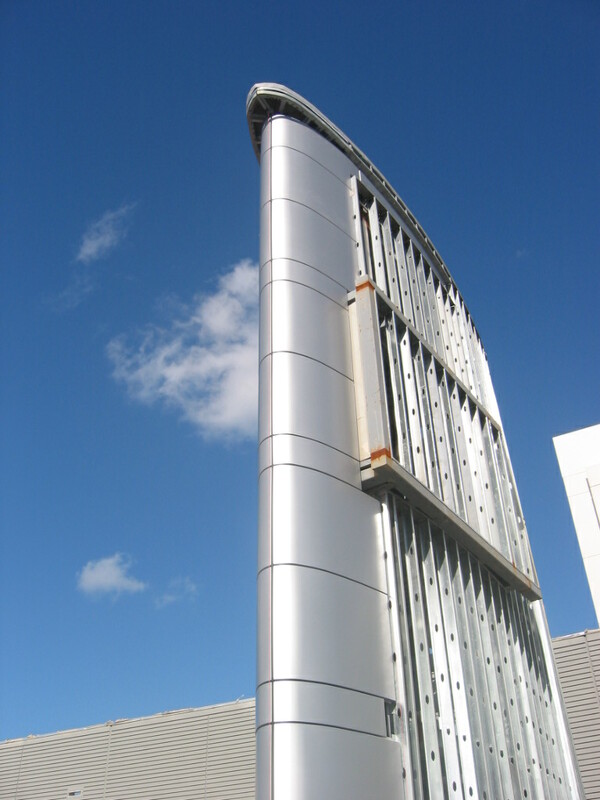 ft. of Metalwërks Arcwall™ 1500 radiused wall cladding was placed on 4 entry pylons at the facility’s main entrances. The panels are curved on an elliptical plane to 3 different radii and are also sloped, which creates complex geometry. To ensure quality control, full scale mockups were constructed in the Metalwërks facility. Metalwërks products were engineered using 3D modeling technology to assure accurate fit and precision fabrication. 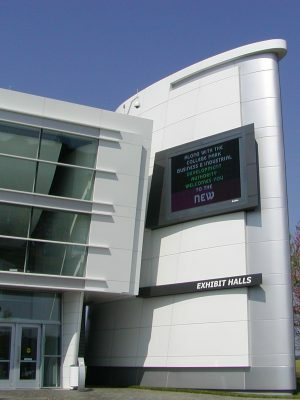 The final panels included TV screens upon which schedules and announcements are projected. 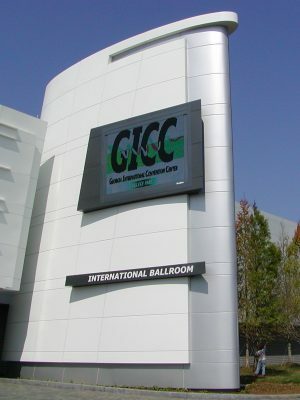 They are located outside the center. 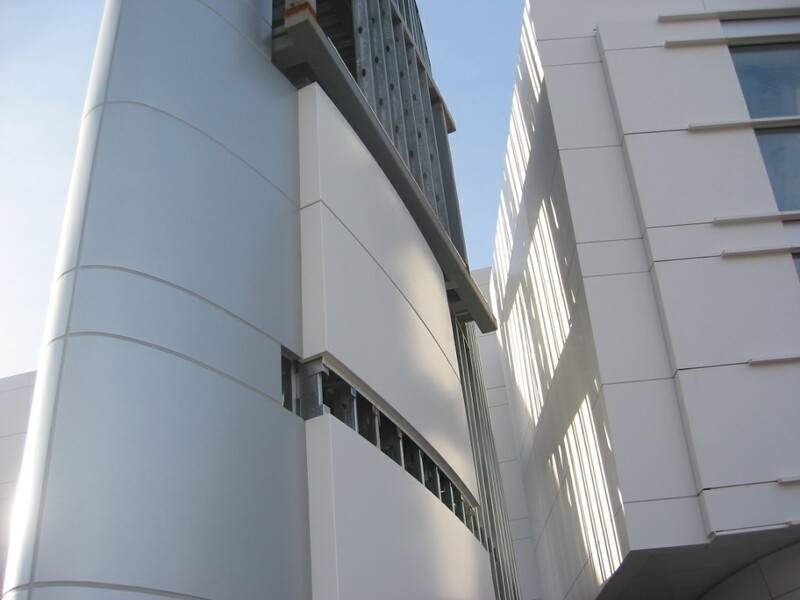 Finishes on the panels included 2-, 3- and 4-coat Fluropolymer coatings in White, Silver and Gray.